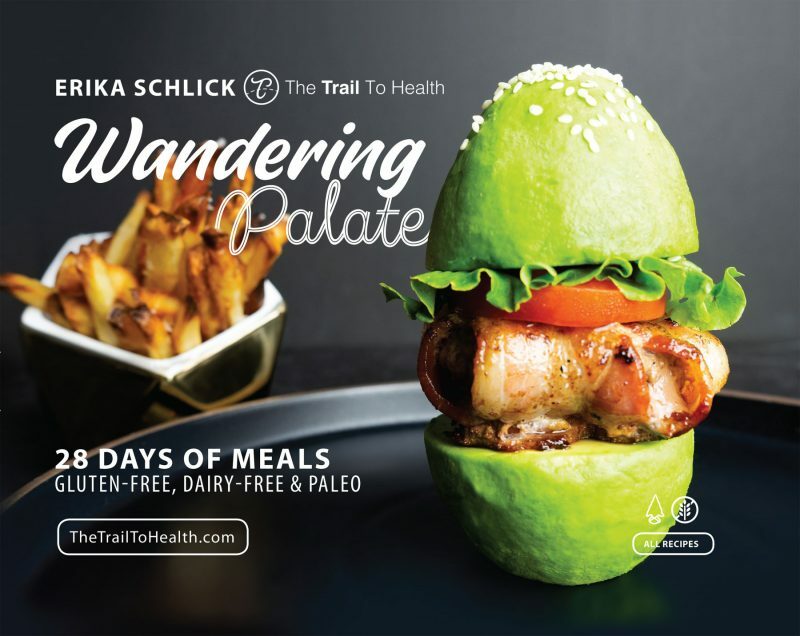 Thank you to Erika Schlick for providing a copy of her book Wandering Palate for this post. The opinions expressed below are 100% my own. After seeing pictures of Erika Schlick’s mouthwatering recipes, I was so excited to get a copy of her new book Wandering Palate. That is my favorite thing about this cookbook… the photos. Everything looks so delicious that the photos alone inspire me to want to try new recipes. 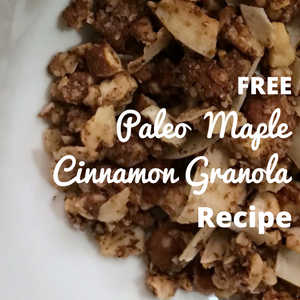 All of the recipes in Wandering Palate are paleo, but they can be adapted to be keto, AIP, Whole30, and primal. I love this! 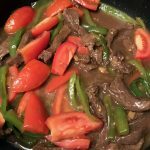 While I am primarily paleo, I love coming across a cookbook that can be adapted to fit another way of eating, because after all, one way of eating doesn’t work for everyone. You find what works for you and your body and Wandering Palate acknowledges this fact. The recipes are grouped into chapters, making it easy to find what course or type of food you are looking for. 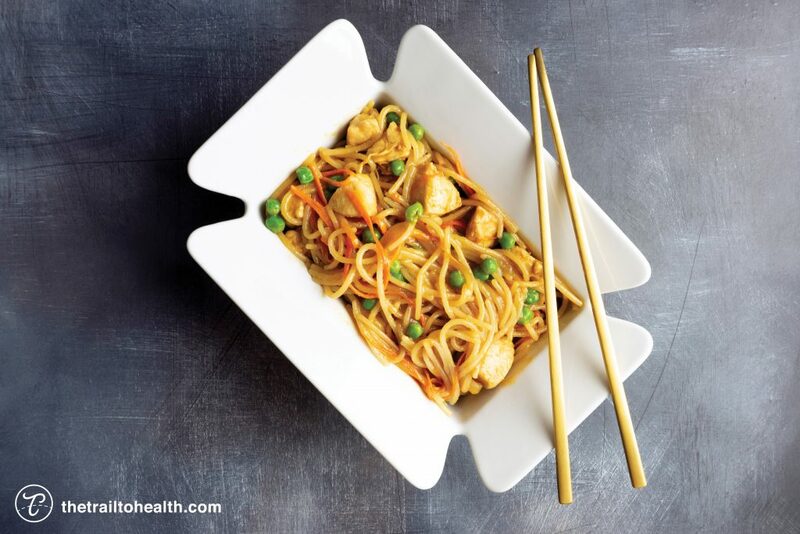 Easy to follow instructions plus relatively quick prep times, makes cooking up your meal stress-free. First, breakfast! The book has 12 recipes listed in the breakfast chapter. I think it’s easy for breakfast to get boring quick, so it’s nice to have more simple recipes to add the usual mix. I’ve only had the book for a short while, so I haven’t had a chance to make anything yet, but look out for a Part 2 post next month. I will review a few of the breakfast recipes. Second, internationally inspired meals! Erika has a multitude of recipes inspired by her travels. I can’t wait to try the Niçoise Salad. This beautiful French salad has only 6 ingredients and can be made in 30 minutes. 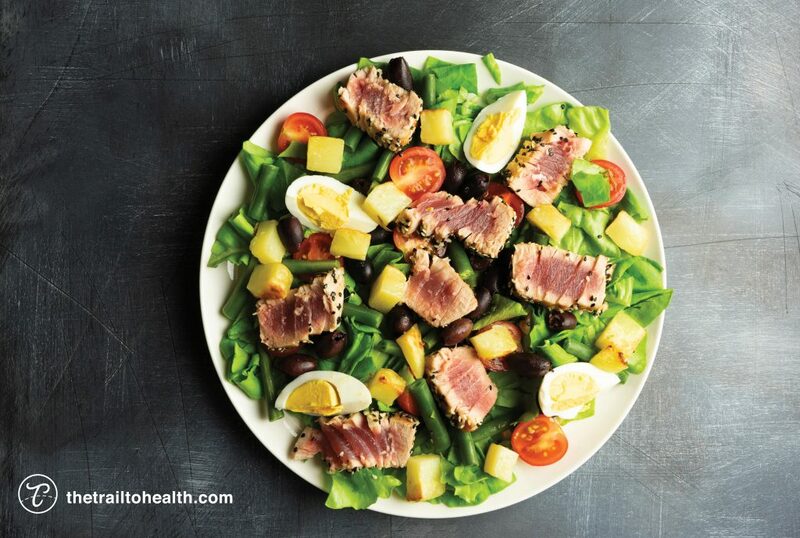 It is filled with plenty of vegetables and hearty ingredients, plus one of my favorites, Ahi tuna. Yum! Before you even get to the recipes in Wandering Palate you are presented with a wealth of information. This book offers Erika’s advice on quality of ingredients and ingredient sourcing, pantry staple recommendations, kitchen tools, and food storage. Additionally, you get a peek into Erika’s journey with food and overcoming chronic illness. It’s a cute surprise! Erika has two adorable dogs, Pixel and Falkor, and they certainly are lucky. They have their own chapter, detailing how Erika makes their favorite dog food. Admittedly this part of the book is pretty awesome and would be perfect for me if I didn’t have a toddler. Erika includes a meal plan and shopping list, which utilizes the bulk of her recipes. It is a 4-week meal plan and is broken down per week. The reason I would not use it is that my life right now with a toddler is chaotic at times, and I am simply not brave enough to try all new meals for a whole month, or even a week. 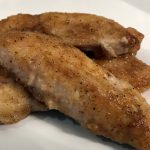 I can throw in a new meal here and there per week, but I think this would be perfect for anyone who is just starting paleo and doesn’t want the hassle of creating their own meal plan. I had the chance to ask Erika a few questions in relation to Wandering Palate. I loved having the opportunity to ask a fellow paleo eater about their point of view. You mentioned that you have traveled less since having Lyme and celiac disease. When you do travel, how do you best accommodate your dietary restrictions? Erika: It really depends on the country I am going to. If its somewhere hard to eat I may get an Airbnb with a kitchen, but I am actually finding it has been fairly easy to travel, and sometimes easier to eat in foreign countries because they use real foods. I recently went to Italy and was amazed at how easy it was to eat as a Celiac. Restaurants that had gluten free options typically had a separate kitchen space to prepare the gluten free food which was amazing. I didn’t get glutened once there. I also always use the app “Find Me Gluten Free” and it does a pretty good job of pointing me in the right direction of restaurants that can accommodate celiacs. Your recipe for Chicken Cobb Salad has ham in it. I have yet to find a paleo ham; although, to be honest, I haven’t looked that hard. What are your suggestions when it comes to buying ham? Erika: US Wellness meats has a sugar free Canadian bacon ham and I also like La Quercia prosciutto which just has salt and pork which you can always use in the recipe. In a pinch I use Applegate organic slow cooked ham. Almost all of them have a small amount of sugar in it but its usually just used as the starter and is listed as being less then 2%. What advice do you have for anyone who is just starting the paleo diet? Erika: Stick with it! You will feel awful for the first few weeks while your body detoxes and adjusts, but once you get through that you will start to feel really good. Also don’t be hard on yourself if you fall off the wagon when you are getting started. Starting to make healthy food choices is a big lifestyle change and doesn’t always happen overnight so stick with it and it will become easier, especially once you start to feel great with a clean diet. Erika: This is so hard. I really love them all. Some of my favorites are the Pistachio Crusted Cod, the Cauliflower Rice Paella, Lamb Koftas, and the Instant Pot Pho. What is your most used tool in the kitchen? Erika: I would probably say my lemon squeezer haha. Pretty much all of my recipes have lemon or lime in them. 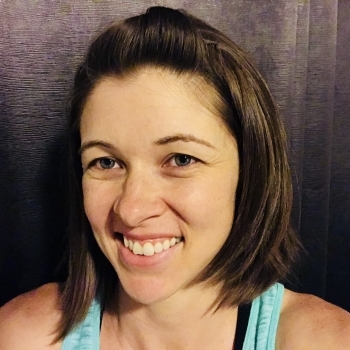 If you are want to find out more about Erika, check out her website, The Trail to Health. Additionally, you can catch her on Episode 4 of Afflicted, a Netflix Original. 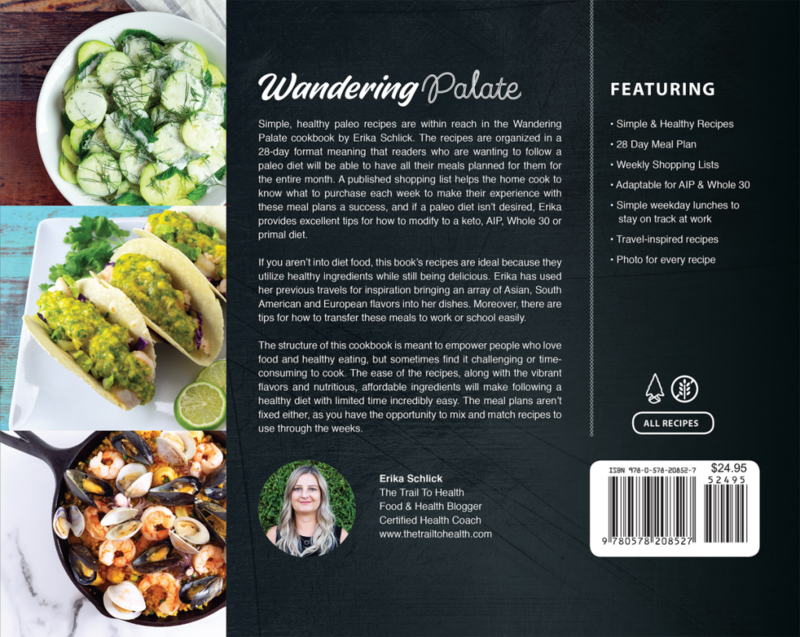 Pre-Order for Wandering Palate Now Available! Wandering Palate is currently available for pre-order and will be released in November 2018. Pre-order your copy here. This was so great! I have some autoimmune problems, so it was great to hear how Erika manages while traveling(I travel a lot). And I had never heard of that app before, i’m gonna download it now:)! I had never heard of that app before either. A cookbook for humans that also includes a chapter for dogs??? I have to check it out! You should! Her dogs are adorable. I also have autoimmune issues so this was a great read for me. I LOVE anything with eggs and avocados, so that recipe sounds like one I need to try! Can’t wait to check out the cookbook! I like when a cookbook focuses on the healing side of food. The recipe with the eggs and avocados is one I’ll be trying soon. I love that the recipes are simple! 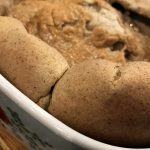 These recipes look amazing!! The avocado one, I might surprise my husband over the weekend and make this for breakfast! I agree, her recipes do look amazing! I will be trying the avocado one soon too. I love simple breakfast recipes. This cookbook sounds amazing! I all about beautiful pictures in cookbooks as well…looking into getting this cookbook! Every recipe has a picture…. plus the index has the picture of the recipe too. Erika’s book sounds awesome! My boyfriend was recently diagnosed with congestive heart failure and as a result, we need to change our entire way of eating. I’ve been looking for recipe ideas and this book sounds like exactly what I need. Changing the way you eat is a hard process, but it helps to have recipes you love. I’m glad I could help. 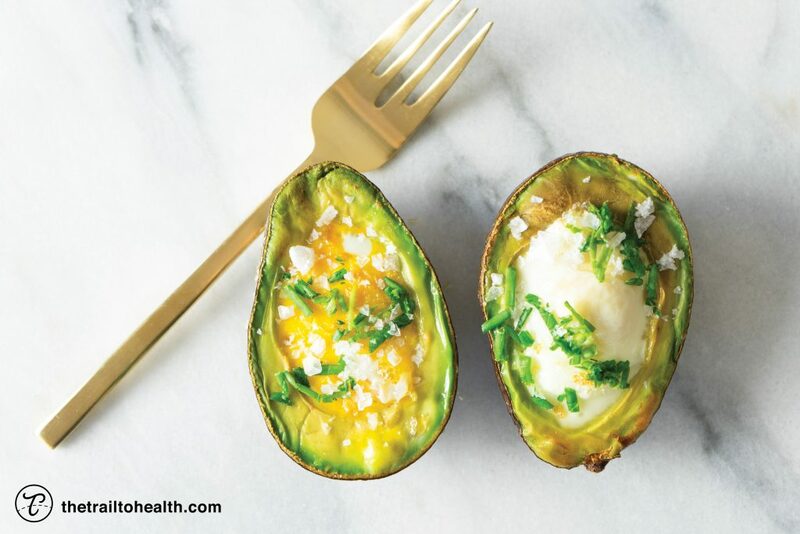 This honestly looks delicious, and I’m not big on avocados lol I have to try this! I’m excited to try this soon! OMG so many nice recipes. That tuna salad and the avocado look so good. Absolutely delicious! I know! I can’t wait to try them. I love everything with avocado! Believe it or not I discovered it not longer than year ago, and I fell in love with it !